As you know things change. 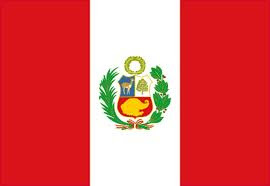 Xav did not receive his visa in time to go to the Lima, Peru MTC. So, on Wednesday March 27, 2013 we dropped him off at the Provo MTC to start his mission and to wait for his visa. Xavi saying goodbye to his favorite buddy, Kramer! We had to say goodbye in the parking lot of Kneaders, after lunch, because we were warned, they just sweep them away at the MTC! Arriving at the MTC and seeing all of the missionaries lined up, was the coolest thing! To see all of the boys who are dedicating their lives to serve the Lord! Goodbye Elder Maestas, We'll See Ya In Two! Here are pictures from his first week in the MTC! and his birthday package! Happy "19th Birthday" Son! Xav's first companion Elder Peterson. Elder Peterson is going to serve in the Columbia mission. He is the only Elder in the district that will not be going to Peru. This is the group of Elders/Sisters that are in Xav's district. Xavi is serving as the district leader. A couple of the elders snore zzz so the first night they all laid awake until one of the elders said, "The first night of the next two years", and they all laughed because that was exactly what everyone was thinking! Finally, Saturday morning the mailman brought our first letter! We were so excited to see how things were going. We all sat around to hear what he had to say. Mercedes said, "It's like Christmas"! and it certainly was. We read and reread and cried. He was doing great! The mtc was good, food was good and he was soooo busy. He sent a copy of his schedule so that we could see what he was up to! His spanish is coming along and he said that the spanish classes must have really helped because he was really picking it up. On Friday, March 29, 2013, he taught his first lesson in Spanish! Wow, I guess that spanish class helped. He said, he could understand, but it was hard to respond.